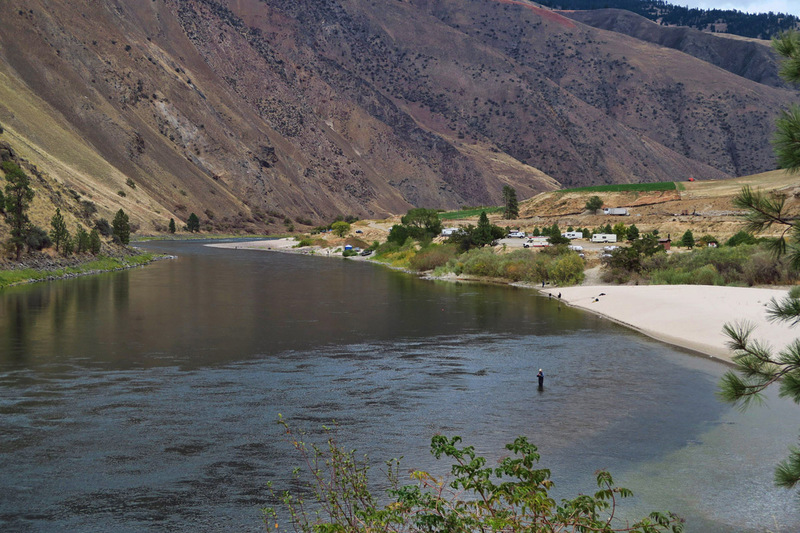 Ten years ago, while vacationing on a tiny island off the coast of Belize, Tobacco Caye, I met a man who waxed poetic about Idaho’s Salmon River. 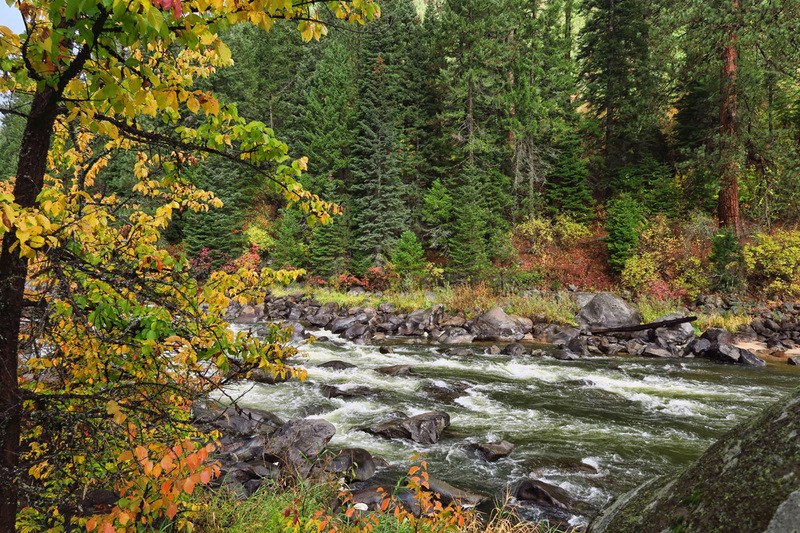 I can still remember his vivid descriptions of rafting this wild and scenic river through canyons, rapids, and some of the largest wilderness in our country. He talked of pristine white sand beach camping under star-filled skies, and not seeing another person for miles at a time. His tales were so compelling that they stuck with me. These hills look like they are covered in antler velvet. 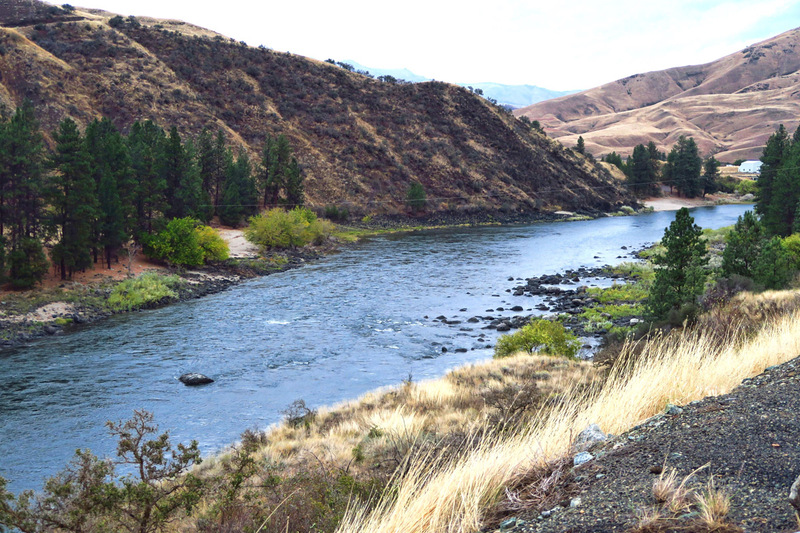 Known as the “River of No Return,” the Salmon River cuts through half of Idaho where no roads travel, therefore offering no option but a one way journey. 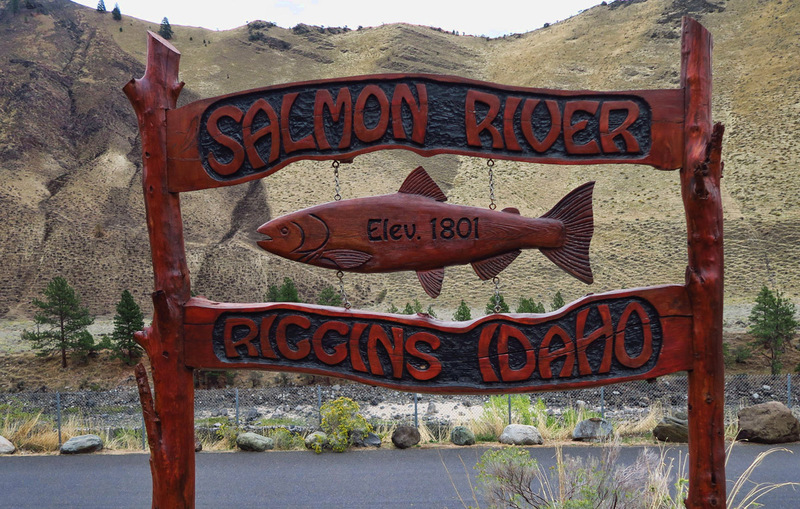 Originating in the Sawtooth Mountains near Galena Summit, the Salmon River runs over 400 miles before emptying into the Snake River, traversing a canyon deeper than the Grand Canyon and over two million acres in what is the largest wilderness area in the 48 states. 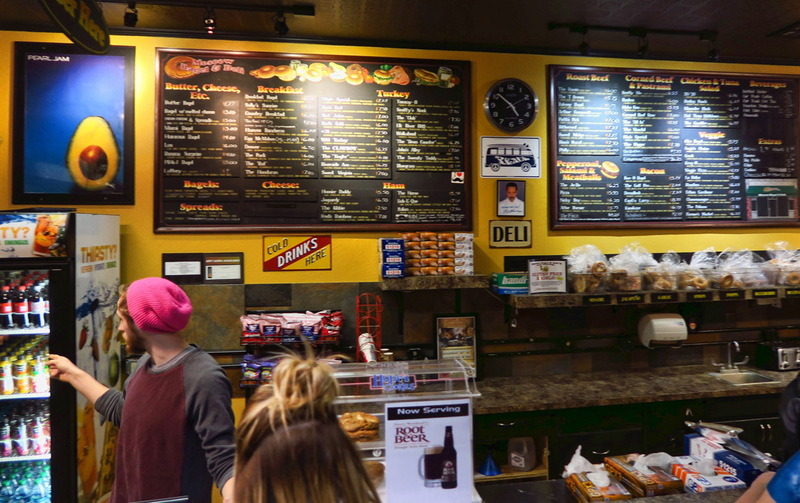 We get some good advice that the Moscow Bagel Shop is a “do not miss” stop along Hwy 95, which runs right through town. I recommend “The Raven.” Best roast beef sandwich ever! Moscow is home of the University of Idaho. 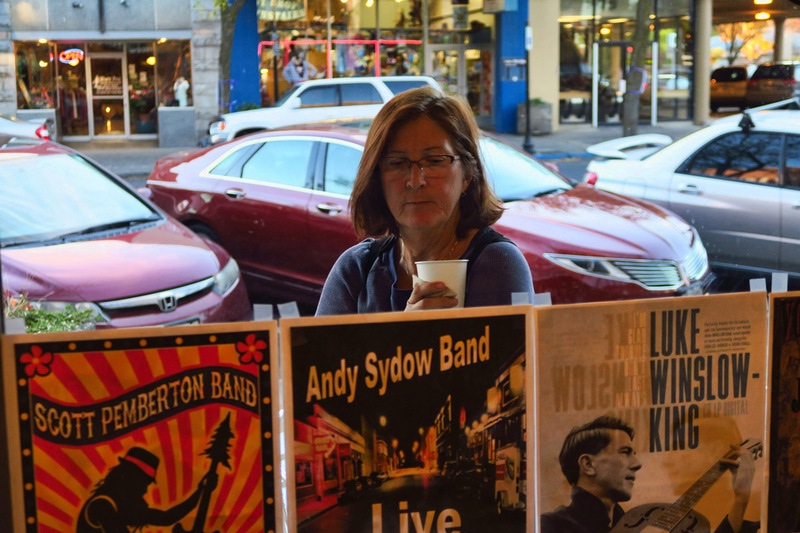 Like all college towns, there is a lot going on musically. 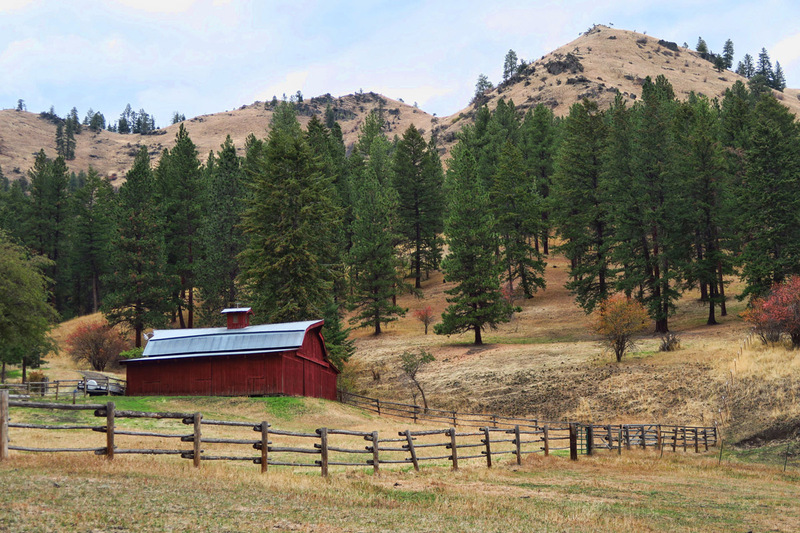 Idaho also has a lot of picturesque barns along the byways. 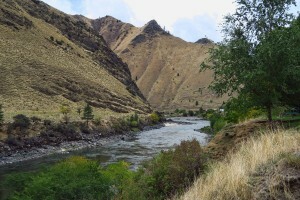 Since that time, I have wanted to follow the Salmon River all the way across Idaho. I had planned to do this back in 2014, but had to make a sudden turn south when the Tracker engine blew. So this year, I hoped to fulfill that desire. 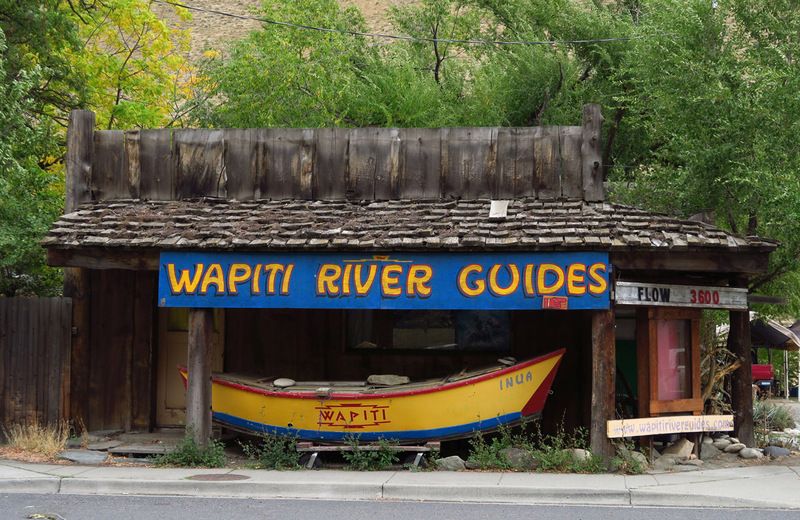 Originally, I thought I would do this by float trip, but my continued delays this summer thwarted that plan, as rafting trips ended at the end of August. 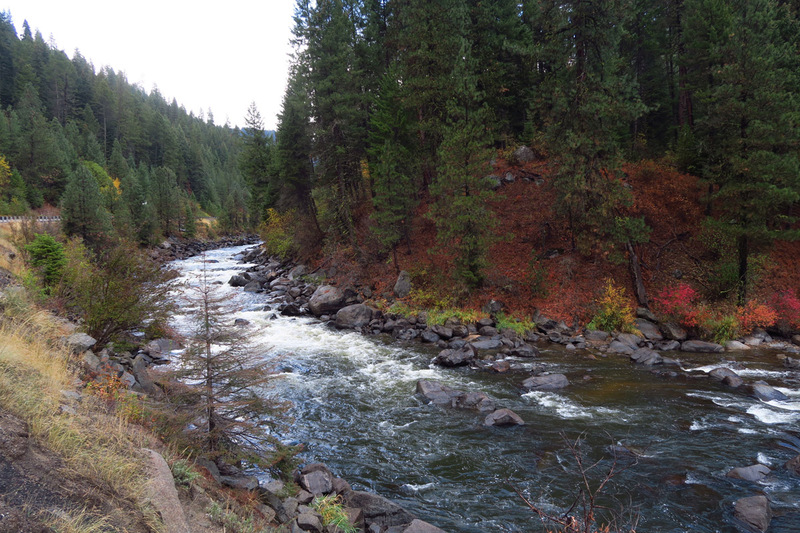 Still, I wanted to see the notorious Salmon River. I asked Don if he was interested. His response: “I’m following you!” Yikes! No pressure there! High winds pick up and darkness is looming. We fall short of our planned destination. We need to find a place to park before dark. Just as we decide we need to get off the road due to wind, what are the odds, we see a sign for “Slate Creek Rec Area” a campground of only 5 sites along the road. 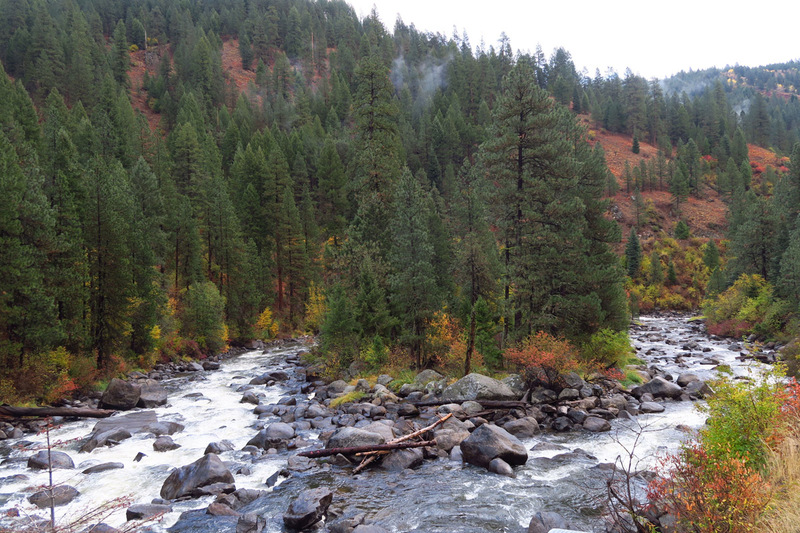 Right on the Lower Salmon River, this BLM campsite, Slate Creek, ends up being one of our favorite camping spots. Up to this point, my stops had been well planned out, because I was repeating much of the 2014 itinerary. But Idaho was new territory for me. And now getting so late in the season, what little plans I had made such as riding the Hiawatha Bike Trail, where foiled as campgrounds and attractions began closing like a domino effect as we headed south. So this meant “winging it” in most cases. Riggins, Idaho looks like a Cabela’s catalogue, being all about the river. Rafting, fishing, boating, hunting, etc. 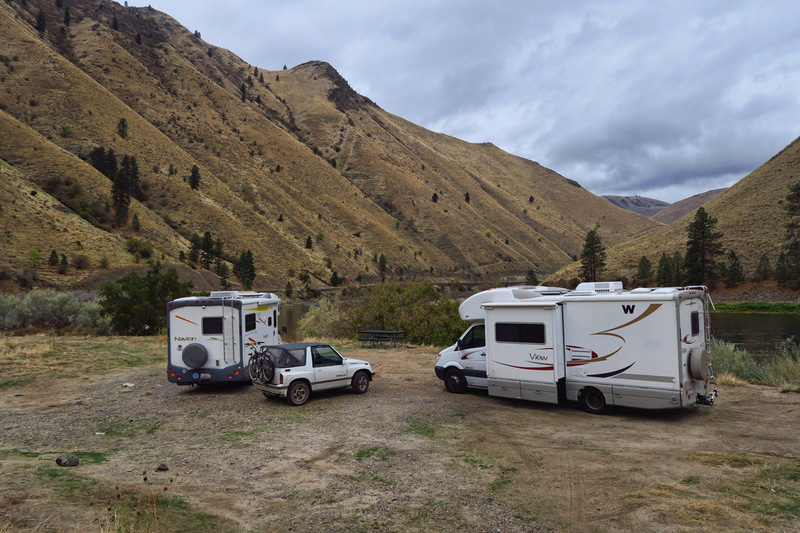 Our boondocking spot, Shorts Bar, just outside of Riggins, right on the Lower Salmon River. 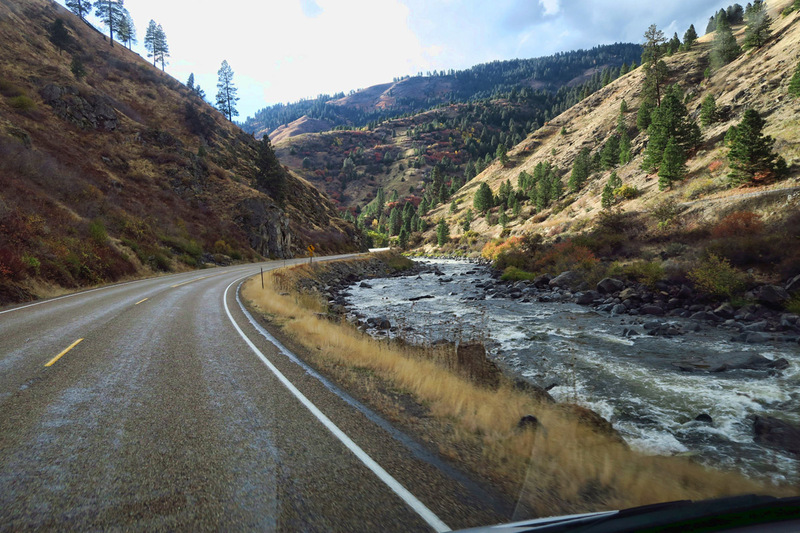 This entry was posted in Idaho and tagged Idaho Scenic Byways, Lewiston, Payutte Scenic Byway, Riggins, Salmon River, Snake River by Suzanne. Bookmark the permalink. Beautiful description and photos of the area. 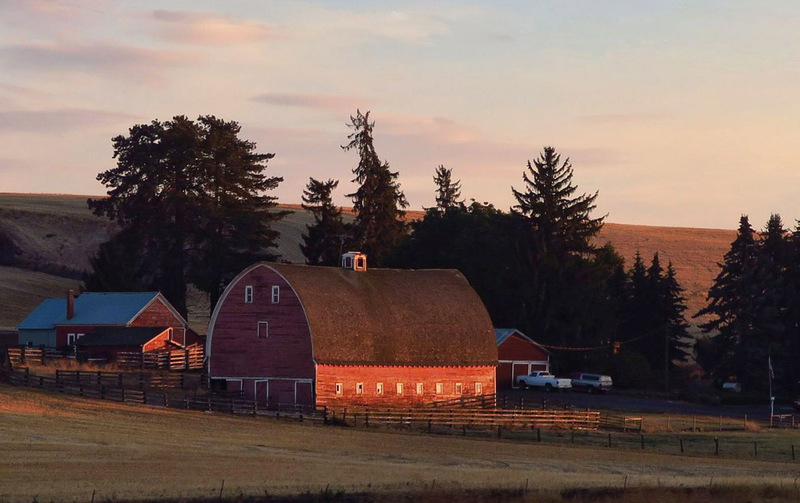 We’ll be there next year for the eclipse, and it’s not just potatoes – Idaho has wineries too! Idaho is my favorite state. I’m hoping to spend a lot of time there next year. 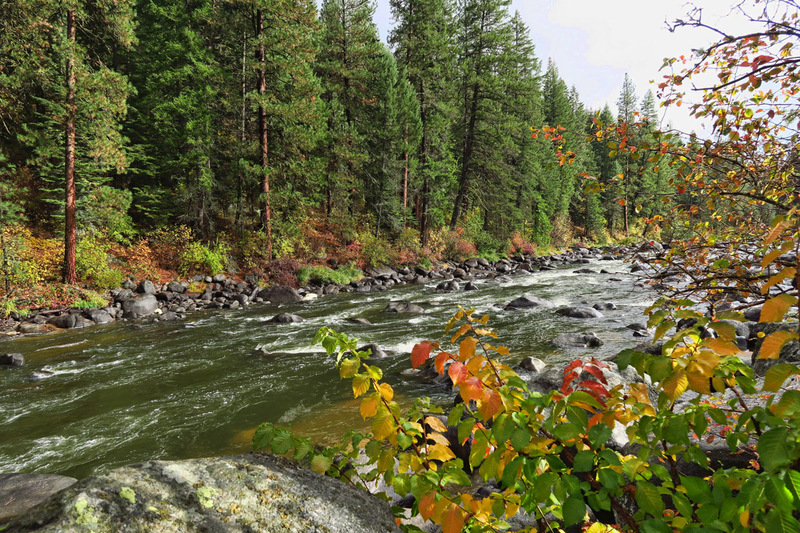 I, too, was fascinated following the Salmon River and in previous years traveling the many scenic byways. 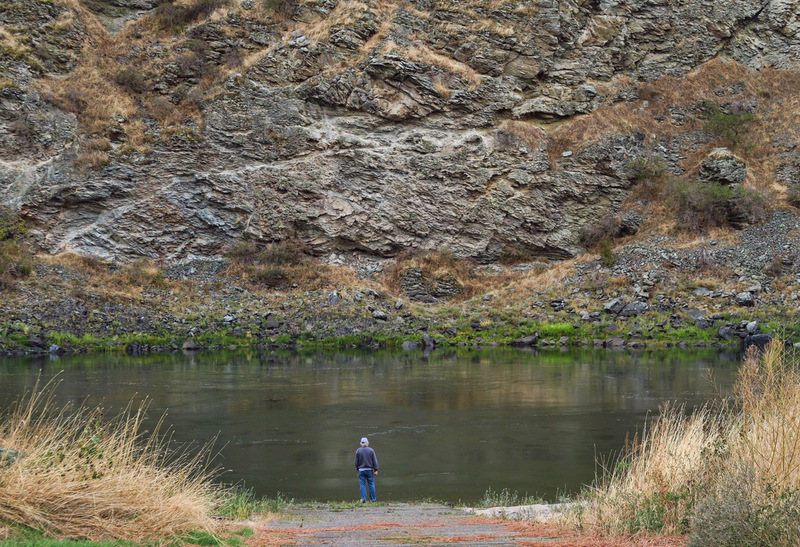 Lisa, I found you a place where you can have both — Hell’s Gate State Park in Lewiston, ID is beautiful park with hook-ups right on the Snake River at the mouth of Hell’s Canyon, and it has a massive disc golf course! Beautiful! We have not spent much time in Idaho. Perhaps we should. 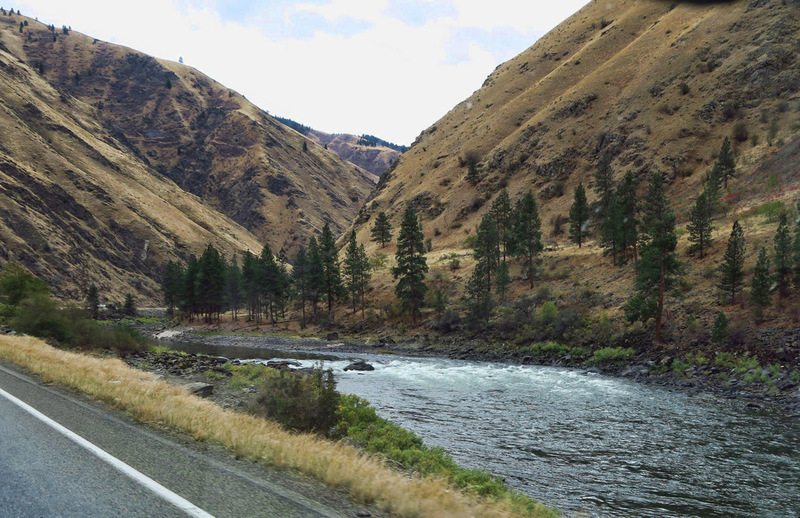 Yes, those byways in Idaho are definitely scenic. 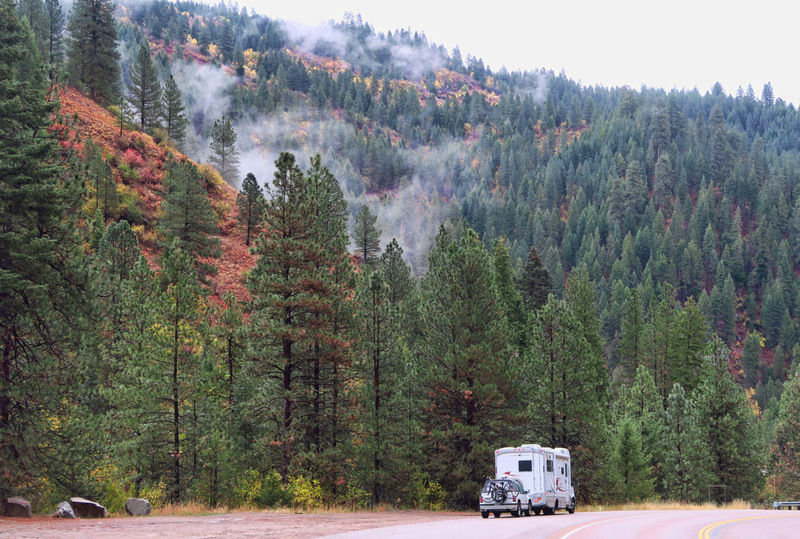 Fall can be such a beautiful time to travel, it’s a shame so many campgrounds close just after Labor Day. Looks like you found some nice alternatives. Have you tried Bear’s Den in Grainger? Nancy, I have not heard of that, and can’t find it in Google. Is it an RV Park? Or a beer pub? haha! Those are really some beautiful looking rivers. The one time I traveled along the Salmon it was winter and my attention was about staying on the road rather than the scenery! Much better to be there in the fall. Canned hunting is just awful, any hunting is for that matter. Live and let live. I always wanted to visit Idaho. Your pictures have put it on my bucket list. 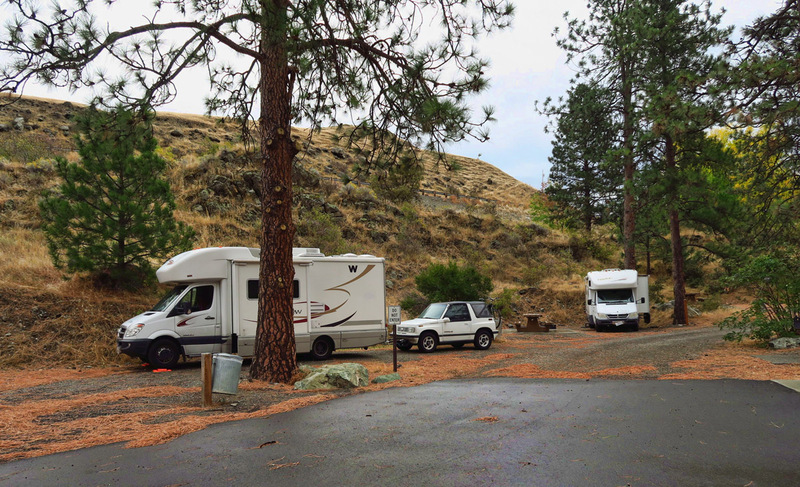 We stayed at McKay’s Bend BLM Campground for 8 days at the beginning of September. 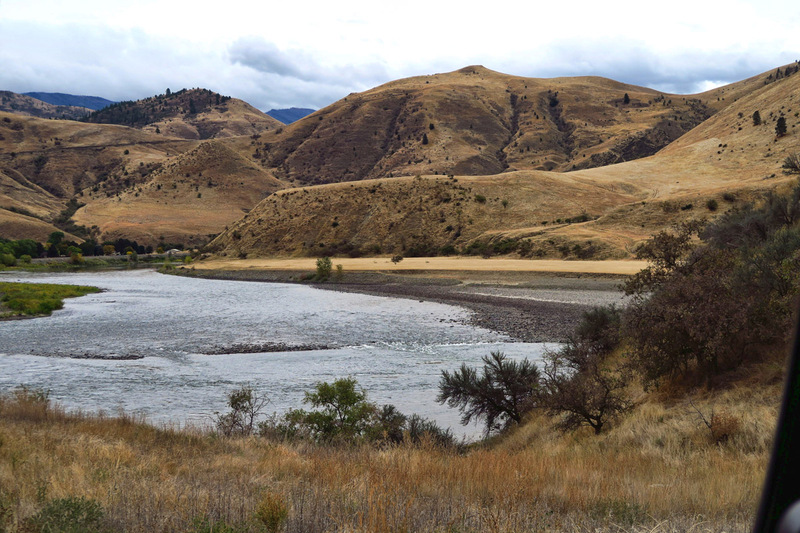 It is about 17 miles east of Lewiston along the Clearwater River. We highly recommend this 15 site camp. Park like, with lawns between the trees. With Senior Pass, $9 per day …full hookups. We really liked Lewiston/Clarkston. We wrote about the area in our blog. Thanks, Ed. 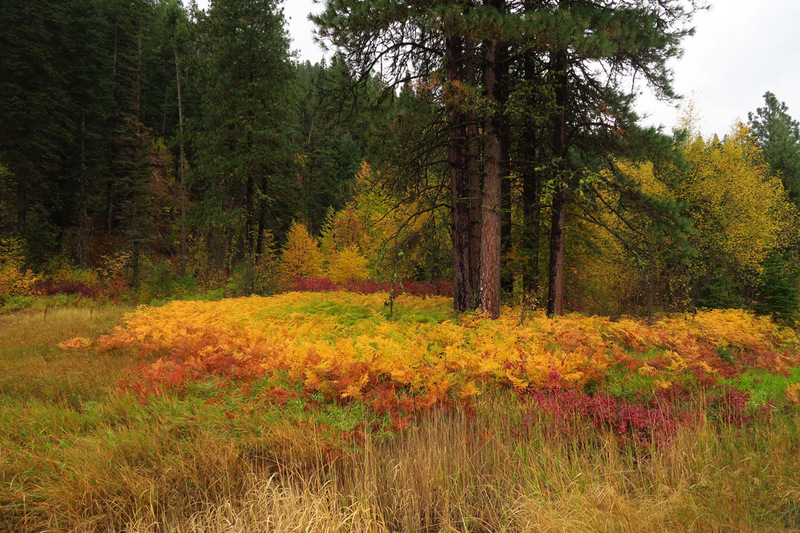 I did see the nice write-up on McKay’s Bend, and it sounded like a lovely spot. But by this time, we were moving pretty fast with winter nipping on our heels. I’ll remember it for future reference. 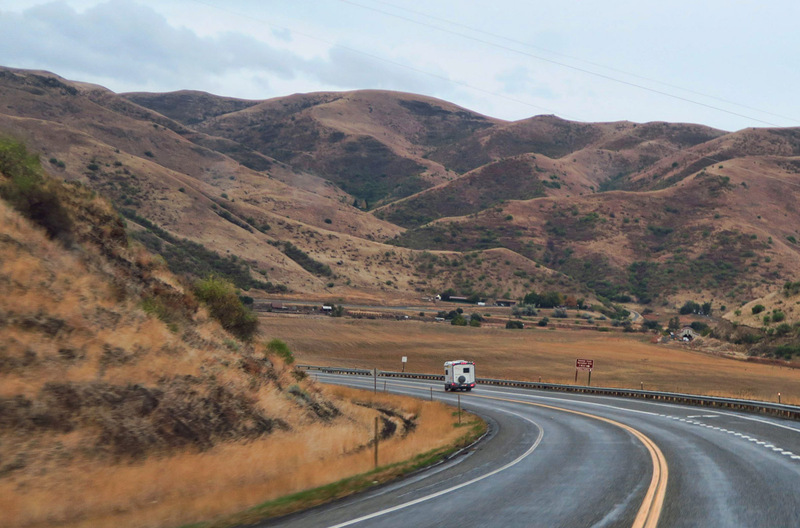 Scenic Byways are always Awesome! 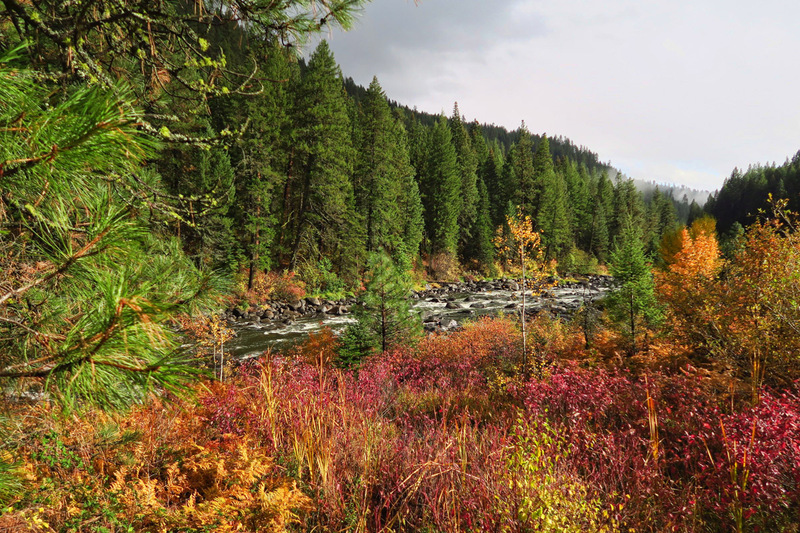 And why not Idaho, especially these thick forests and swift rivers. Could do without the hunters. Shame those accessible campgrounds have to close so early. Maybe afraid of the Volunteer getting snowed in. 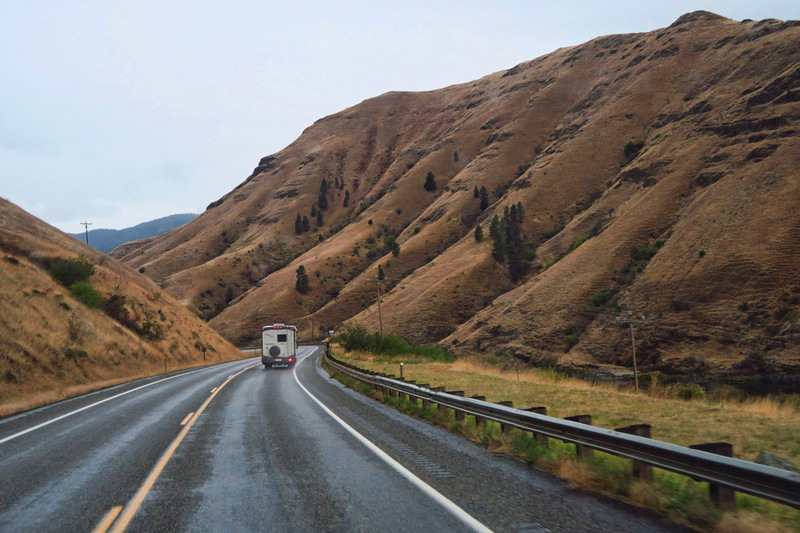 If coming down from White Bird it is a hard right turn to the campground with a larger rig…. P.S. On the left between Slate and Riggins on the left is a ranch/fruit sales spot with the best Huckleberry Pie and ice cream..I can’t recall the name right now. It’s worth a stop! Thanks, Upriver David! I am in “blog catch up mode, though, so I will have to save the recommendations for next time. I remember that fruit stand, and I almost stopped, but we were still transporting a crate of apples from Chelan. Had I known there was Huckleberry Pie, I would have U-turned! We have explored so little of Idaho. As I see more photos from several bloggers who have spent time in ID, I think we need to plan an extended stay. Your photos are beautiful! Another addition to my bucket list. I had better get back at going out and checking them off. Lovely photos. Looks like the perfect time of year to visit. Thanks, Suzanne. Love that photo of you. Good shot Don.